With Father's Day just around the corner, I find it fitting to post about my dad. He is an amazing man. He's overcome quite a bit in the past 7 years. Within a week of each other, his mother and wife passed away. What could have broken him only made him stronger. This man rose from the devastation and has found a new outlook on life - running. 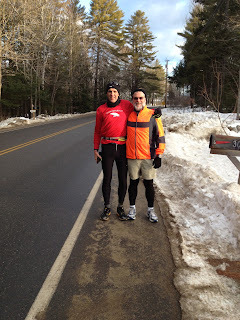 This past January, when Gary Allen made his 700+ mile run from the top of Cadillac Mountain to Washington, DC, my dad ran with him for a portion on the back roads of Freeport. I haven't run with him, yet. But I will be at his first race to cheer him on, support him and take tons of pictures on July 4th at the LL Bean 10k. I am proud of my dad. He is a true inspiration to me and proof that it is never too late to start running! Seeing my dad smile again warms my heart more than words can describe. I love you, dad. Happy Father's Day! How has your father made you smile? As part of Oral-B's #powerofdad campaign, one of my lucky readers has the chance to win their own Oral-B Deep Sweep TRIACTION™ 1000 power toothbrush (retail value of $64.99). I will be receiving one as well. To enter, please comment below with your own #powerofdad moment. For an additional entry, share your #powerofdad moment on facebook, instagram, or twitter with the hashtag and share your link below as well. This giveaway will close at noon on Sunday, 6/16. I will post the winner on the blog. my dad has ALWAYS been my biggest supporter no matter what it is. he makes me feel better, he cheers me on, and he's always there. always, no questions asked. Wow, good for your dad to rise above his struggles. I love that he's so supportive (and jealous). That's sweet, Jen! :) Good luck to your dad in his race!! This post made me smile. I love this so much; a wonderful tribute. I got to have lunch with my dad on Tuesday and just being with him makes me smile. I feel blessed that I have such a wonderful father in my life. My Dad did one of the hardest things I can imagine in a relationship. Admiting a HUGE mistake, accepting responsibility for the outlash and then sticking through it and never giving up. He and my Mom now have an entirely different marriage than they ever have but its so strong nothing will break it but death. That is my strong dad. Love this! My dad is the biggest servant I know. He likes to mysteriously take my car when I go visit him and he comes back with it clean and a full tank of gas! He also never lets me carry heavy things (even though I do at the gym) and is a real gentleman. I love that your dad has started running:) That commercial brought tears to my eyes. Wow. What an inspiring story, Jen. This post made me cry a little. I miss my dad so much and can't believe he's been gone right at three years. Love the pic of your dad in his running clothes. Dads will always be super heroes. AWWW LOVE!! GO DADS GO!! I had the most amazing dad. He was 92 when he passed last summer, and he was still active in our church, town affairs, and the American Legion. He did so many things for our little town that many people were so upset when he passed. My father had a wonderful life, was married for 60 years when my mom passed. He lived alone and was fully functional to the day he died. I really miss him. My dad has beat cancer 3 times in as many years, he continues to have a positive attitude. He goes this week for another 6 month scan, we are thinking only POSITIVE thoughts!! A super post...emotional. It's because of my dad that I started running. He ran for many years! Aww, your dad is so great! 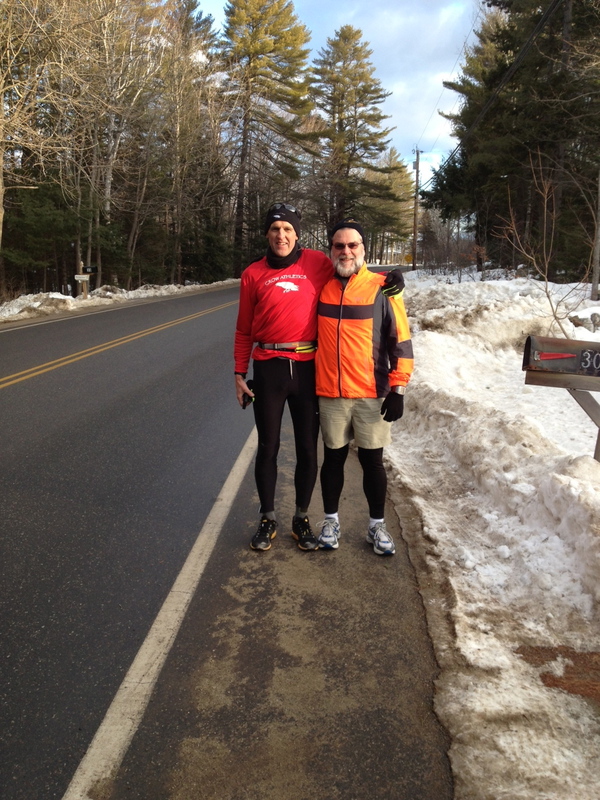 I love that he ran with Gary and that he is running his first race soon! Happy Father's Day & A Winner! Winner Winner & Another Giveaway!